Thinking of Taking Up Surfing? Here's the Insurance You'll Need. 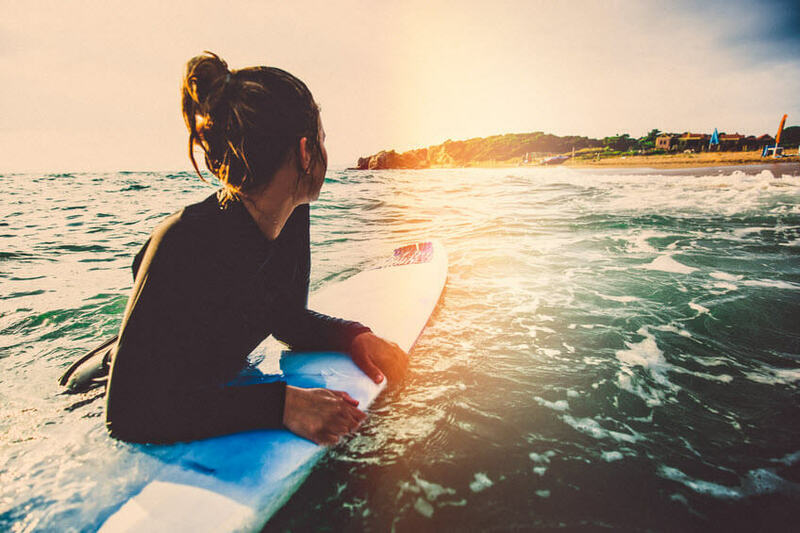 Home » Blog » Health Care » Health Insurance Blog » Thinking of Taking Up Surfing? Here’s the Insurance You’ll Need. Thinking of Taking Up Surfing? Here’s the Insurance You’ll Need. This entry was posted in Health Insurance Blog on 07/28/2016 by admin. As the national U.S. Open of Surfing in Huntington Beach approaches in late July, it’s important for those amateur surfers — or people who are thinking of taking up the sport — to be aware of the sport’s risks and to be covered with the appropriate insurance. In this case, the proper insurance would be health insurance, available from many providers at reasonable rates. Here are some of the reasons why health insurance is important for surfers. As Bruce Lee famously said, water can flow, or it can crash. Surfers want to take advantage of the flow and avoid the crash whenever possible. Even small waves are capable of inflicting damage or even injury, so board riders should try to work with the action of a wave rather than against it. The larger a wave is, the more important it is to heed this principle. When you’re swimming, it’s easy to think that you’re in control; you can turn, bob, float and dive at will and usually be just fine. However, one force that many swimmers and surfers don’t always take into account is currents. There are two types of currents you should be cognizant of: longshore currents and rip currents. Longshore currents run parallel to the shore and pull in one direction or another along a long line. They’re what cause waves to break like they do and make surfing possible. Longshore currents can make surfing dangerous because if you fall from your board, they can propel it into you with tremendous force, creating a risk of injury. Rip currents pull water from the beach back toward the sea. Sometimes these are confused with a similar underwater action known as “undertow” — both are hazardous, but rip currents occur at the surface of the water. Rip currents are dangerous because they can and do pull people out to sea. For surfers, sometimes rip currents can be useful in helping a rider get out to an appropriate distance to begin their run. But if a surfer becomes separated from their board, a rip current can make it harder to recover it and even present a risk of the surfer being dragged past a safe distance from shore. Beyond the danger of never being rescued, having to spend hours in very cold water longer than you anticipate is a serious risk to your health. Solid objects pose serious dangers to surfers because they can be hard, sharp and pointed. Rocks that are invisible because they lie mostly below the surface of the water are some of the worst hazards that surfers face. Collisions or scrapes can cause serious harm and need to be avoided. Before catching a wave, you should try to scope out all possible hidden masses that could lie in your path. Beginner surfers should not attempt to ride in areas that have not been “broken in” by veterans. Making a note of how waves break can make it easier to spot rocks and other solid objects. Perhaps the greatest danger for beginning surfers is their own surfboard. Boards are dense and heavy, so many beginners are advised to learn with a foam board before they move on to fiberglass. It’s important to learn how to fall so you avoid getting hit by your own board. If you think you’re going to wipe out, try to jump backward away from your board and fall gently, anticipating shallow water. It’s a good idea to have health insurance if you’re going to surf. Board riding is not a sport to be taken lightly; while fun, the difficulty is not insignificant and the risks are real. If you’re looking for affordable coverage, you’ve come to the right place. Get a free health insurance quote from Freeway today, and take a drop on some epic waves this summer!